The following article was submitted to Workers World by the organization Fronte Popolare (Popular Front) in Italy. Some 1.3 million workers participated in a general strike on Oct. 21, the first of two important days of mass workers’ struggle in Italy. The workers were called out by the United Rank-and-File Union (USB), a member of the World Federation of Trade Unions (WFTU) and other grass-roots trade unions. The goal of the one-day strike was to give class-based content to a “No” vote on the Dec. 4 referendum on constitutional reform, proposed by the Democratic Party government of Prime Minister Matteo Renzi. The reform has been openly endorsed by President Barack Obama and the U.S. ambassador in Rome, who openly attempted to pressure the Italian people by threatening to stop investments in case of a “No” victory. The German government, the European Union, the Italian Employers’ Association, the big banks and the rating agencies also back a “Yes” vote because the reform would further strengthen governmental powers and promise faster approval of the new anti-popular measures in progress. On Oct. 22 more than 40,000 people from unions and organizations of the alternative left — movements that fight for the right to a home, in defense of the land and against privatizations — marched together in the streets of Rome. 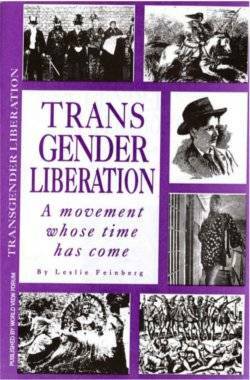 Their goal was to give birth to a social coalition defining the “No” campaign as clear opposition to the anti-popular measures dictated by the European Union. Until these two successive days of struggle, the anti-corruption and eurosceptic Five-Star Movement led by comedian Beppe Grillo and reactionary forces like the Northern League and Berlusconi’s Forza Italia have had the leadership of the “No” campaign, using it against the Renzi government. 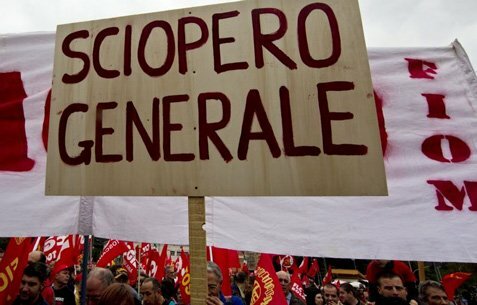 Workers’ organizations want to take charge so that any struggle against Constitutional reform will also oppose Renzi’s anti-worker measures such as his “Jobs Act” law. This law makes layoffs much easier, completing the destruction of the “Workers Statute,” which was gained in 1970 after relentless workers’ struggles. We, in Fronte Popolare, consider the EU an irreformable institution, created to facilitate the destruction of workers’ rights. The EU deepens the inequalities between European countries (benefiting Germany in particular) by means of the common currency and keeps the EU subject to U.S. imperialism in foreign politics. Every attempt to bring about progressive changes and depart from the disastrous austerity fanaticism without questioning the EU itself is destined to failure and betrayal, as the case of Greece exemplifies. The reconquest of national sovereignty is now a precondition for any real progressive change in Italy. We, as Fronte Popolare, participated with conviction in both these events, continuing to work toward a reunification of left trade unions in Italy, still too divided, so that the organizations fighting for a real alternative and for a breakup of the EU come together in a unified front of struggle. The forces are still too little; the road to rebuild a real social and political alternative in Italy is still long and arduous, but we are convinced that, finally, after the errors and betrayals of past years, the direction is now correct.